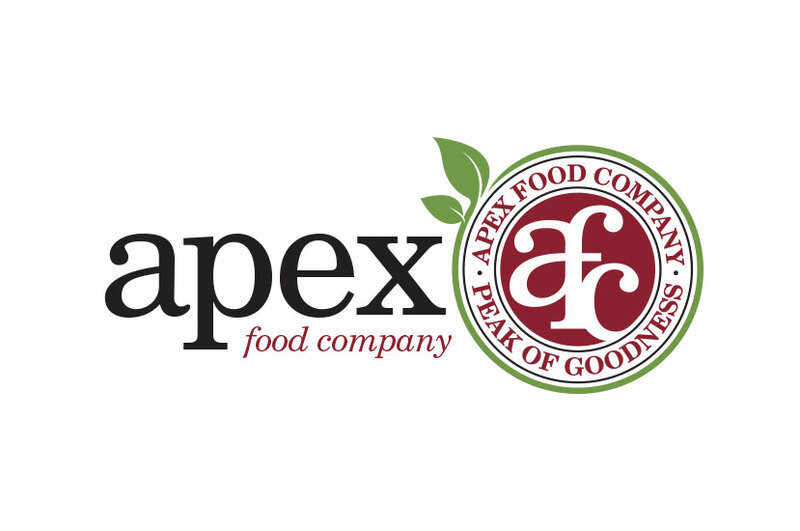 The Apex Food Company logo reflects the business’ commitment to bringing authentic ethnic sauces to market without using artificial ingredients or preservatives. We wanted to reflect this market’s commitment to all-natural and organic products in the color palette and illustrations incorporated. We included the stores monogram enclosed in a circle so that, if the company chose, it could stand alone. This circle is comprised of the vine and leafs, reflecting the company’s organic roots. The circle features an inner circle where the store name and logo are prominently seen. Lower case, rounded typography creates a nice compliment to the circle.